Kitchen Cabinets Abbotsford | Local Pages | Merit Kitchens Ltd. Whether you’re renovating an old kitchen or creating a new space, you’ll want it to stand out as a suitable upgrade to your home – reflecting your personal style, of course. To ensure the results you desire, enlist Merit Kitchens to get the job done to your exact specifications. By choosing Merit Kitchens, you’re not only installing some of the best kitchen cabinets Abbotsford can offer, but you’ll also have a team of experts behind you throughout the entire process. For over forty years, Merit Kitchens has been bringing dream kitchens to life for residences in Abbotsford, the Lower Mainland and beyond. Our team is made up of experienced tradespeople, craftspeople, customer care representatives and technical specialists with a diverse skill set. Innovation is one of the foundations of our business, so we’re always looking for new and improved ideas in kitchen design, function and manufacturing. View our product gallery to find the perfect kitchen design for your home. Can’t find what you like? Have a design that you’ve created on your own? We will build it for you! We use only high grade materials to create our premium quality kitchen cabinetry. Our kitchen cabinets are not only beautiful but durable, thanks to our perfected German engineering methods and time-honored hand finishing techniques. 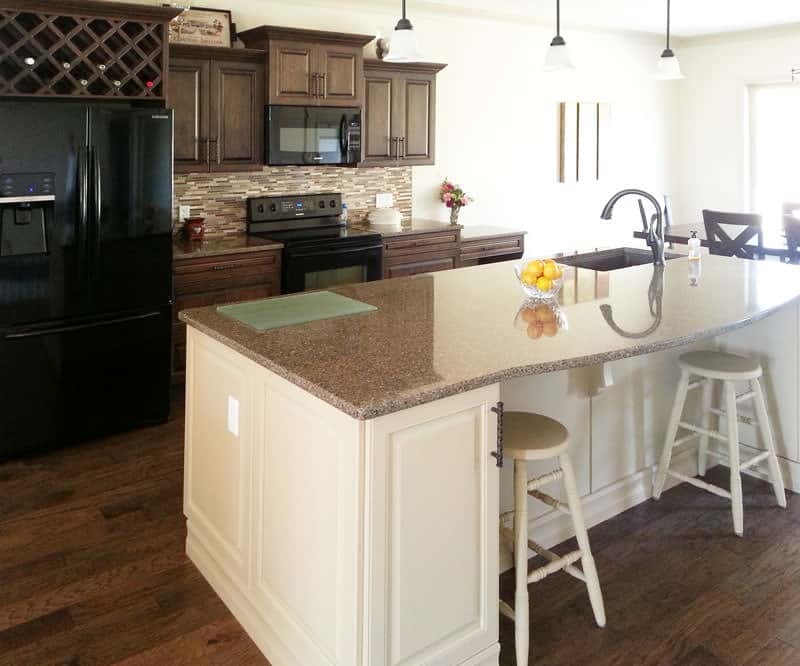 We can accommodate any budget, making us one of the most flexible manufacturers of kitchen cabinets Abbotsford can provide. All of our kitchen cabinets come with a limited lifetime warranty.